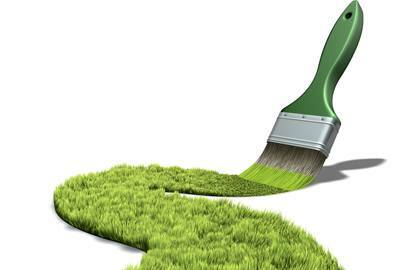 What Exactly Is Eco-Friendly Paint? Buying things has grown pretty complicated in the last few years, hasn’t it? Nowadays we’ve been made ultra-aware that not all products are made equally, especially when it comes to their environmental impact. Previously, Prestige Painting gave a basic run-down of what’s in regular house paint, and we mentioned that there are toxic compounds found in many non-eco friendly paints. Today we’re going to take a look at why not all eco-friendly paints are made equal either. So What Makes for a “Good,” or Eco-Friendly Paint? To find a paint type that’s good for the environment, first determine whether it’s oil-based paint or another kind, such as latex. If it’s oil, it most certainly contains high levels of VOCs, and you won’t want to use it. Most other paints contain far lower levels, but don’t stop there in your search for the healthiest option. Next, you should check the can to see exactly how much VOC it contains. Regulations now require paints to be very specific about this. “Low” VOC paints mean that they meet the EPA’s minimum requirement to be so, having less than 250 grams of VOC per liter in latex paint and 380 grams per liter in oil. “No” VOC paints probably still have very small amounts of VOCs, but far fewer. You can also check each paint can for the level and type of biocides and fungicides it uses, some of which are better than others. For instance, zinc oxide is a safer fungicide than most. If your can doesn’t tell you what’s in it, or you’re not sure what label description means, always look it up online or call the paint company. Most manufacturers provide extensive data on these subjects in order to protect themselves legally. But What’s Actually in Eco-Friendly Paint? Well, that’s a bit of a tough question. The thing is, most of these paints are made very differently, but there are a few things you can expect to see fairly often. First of all, you can expect a lot of low VOC paints to use water-based solvents, which are much better for the environment. Beyond that, there are milk casein paints and “natural” paints. Milk casein paints come from a very old tradition and actually do use milk to create their product, while natural paints often rely on things like balsam, citrus and various minerals. Once again, if the info isn’t on the can, visit the company website or call to find what you need. Beyond the point above, there are two further issues to consider. One, you should find the paint that’s not only eco-friendly, but also longest lasting and most pleasing to you. VOCs and other dangerous materials tend to release most of their damaging parts closest to the date of painting. If you re-paint, you’re starting the whole process over again. Painting just once with a longer-lasting, yet somewhat more damaging paint is actually less damaging over the years than painting twice with a better paint. Additionally, some of the processes used to make these paints low VOC etc. actually release more VOCs and other damaging things into the environment as their made. Pick a company that offsets its damage or otherwise uses better processes. There’s a lot to consider when choosing an eco-friendly paint, but hopefully this gives you a better idea of what to look for when deciding what goes on your walls. Always check the cans and pick a long-lasting paint you really like to make as small an impact as possible. Please Paint This Article To All Your Friends Walls! Brush vs Roller vs Sponge and More: What Should You Use to Paint?